1. Akima H., Ushiyama J., Kubo J., Tonosaki S., Itoh M., Kawakam Y., Fukuoka H., Kanehisa H., Fukunaga T. Resistance training during unweighting maintains muscle size and function in human calf. Med. Sci. Sports Exerc. 2003; 35: 655–662. 2. Almeida-Silveira M.I., Pérot C., Pousson M. & Goubel F. Effects of stretch-shortening cycle training on mechanical properties and fibre type transition in the rat soleus muscle. Pflug. Arch. 1994; 427: 289–294. 3. Alway S.E., MacDougall J.D., Sale D.G., Sutton J.R., McComas A.J. Functional and structural adaptations in skeletal muscle of trained athletes. J. Appl. Physiol. 1998; 64: 1114–1120. 4. Buchanan C.I., Marsh R.L. Effects of long-term exercise on the biomechanical properties of the Achilles tendon of guinea fowl. J. Appl. Physiol. 2001; 90: 164–171. 5. Bojsen-Møller J., Magnusson S.P., Rasmussen L.R., Kjaer M., Aagaard P. Muscle performance during maximal isometric and dynamic contractions is influenced by the stiffness of the tendinous structures. J. Appl. Physiol. 2005; 99: 986–994. 6. Cavanagh P.R., Komi P.V. Electromechanical delay in human skeletal muscle under concentric and eccentric contractions. Eur. J. Appl. Physiol. 1979; 42: 159–163. 7. Cé E., Rampichini S., Agnello L., Limonta E., Veicsteinas A., Esposito F. Effects of temperature and fatigue on the electromechanical delay components. Muscle Nerve. 2013; 47: 566–576. 8. Costa P.B., Ryan E.D., Herda T.J., Walter A.A., Hoge K.M., Cramer J.T. Acute effects of passive stretching on the electromechanical delay and evoked twitch properties. Eur. J. Appl. Physiol. 2010; 108: 301–310. 9. Ducomps C., Mauriege P., Darche B. Combes S., Lebas F., Doutreloux J.P. Effects of jump training on passive mechanical stress and stiffness in rabbit skeletal muscle: role of collagen. Acta Physiol. Scand. 2003; 178: 215–224. 10. Eremin A.I., Bazhanov V.V, Marishchuk V.L., Stepantsov V.I., Dzhamgarov T.T. Physical training man in the long-term hypokinesia. In: Probl Kosm Biol, ed. O. Gazenko. M. Nauka. 1969; 191–199. 12. Fernandez-Gonzalo R., Irimia J.M., Cusso R., Gustafsson T., Linné A., Tesch P.A. Flywheel resistance exercise to maintain muscle oxidative potential during unloading. Aviat. Space Environ. Med. 2014; 85: 694–699. 13. Finni T., Komi P.V., Lukkariniemi J. Achilles tendon loading during walking: application of a novel optic fiber technique. J. Appl. Physiol. 1998; 77: 289–291. 14. Fitts R.H., Riley D.R., Widrick J.J. Physiology of a microgravity environment invited review: microgravity and skeletal muscle. J. Appl. Physiol. 2000; 89: 823–839. 15. Fukunaga T., Kubo K., Kawakami Y., Fukashiro S., Kanehisa H., Maganaris C.N. In vivo behavior of human muscle tendon during walking. Proc. R. Soc. Lond. B Biol. Sci. 2001); 268: 229–233. 16. Goubel F., Marini J.F. Fibre type transition and stiffness modification of soleus muscle of trained rats. Pflug. Arch. 1987; 410: 321–325. 17. Gopalakrishnan R., Genc K.O., Rice A.J., Lee S.M.C., Enans H.J., Maender C.C., Ilaslan H., Cavanagh P.R. Muscle volume, strength, endurance, and exercise loads during 6-month missions in space. Aviat. Space Environ. Med. 2010; 81: 91–102. 18. Granata K.P., Ikeda A.J., Abel M.F. Electromechanical delay and reflex response in spastic cerebral palsy. Arch. Phys. Med. Rehabil. 2000; 81: 888–894. 19. Grigor′yeva L.S., Kozlovskaya I.B. Effects of weightlessness and hypokinesia on velocity and strength properties of human muscles. Kosm. Biol. Aviakosm. Med. 1987; 21: 27–30. 20. Grosset J.-F., Julien P., Lambertz D., Pérot Ch. Paired changes in electromechanical delay and musculo-tendinous stiffness after endurance or plyometric training. Eur. J. Appl. Physiol. 2009; 105: 131–139. 21. Grosset J.-F., Thomas L., Mora I., Verhaeghe M., Doutrellot P.-L., Pérot Ch. Follow-up of ankle stiffness and electromechanical delay in immobilized children: Three cases studies. J. of Electromyography and Kinesiol. 2010; 20: 642–647. 22. Hansen P., Aagaard P., Kjaer M., Larsson B., Magnusson S.P. Effect of habitual running on human Achilles tendon load-deformation properties and cross-sectional area. J. Appl. Physiol. 2003; 95: 2375–2380. 23. Hill A.V. The heat of shortening and the dynamic constants of muscle. Proc. Royal. Soc. Lond. Ser B Containing Papers of a Biol. Character. 1938; 126: 136–195. 24. Hof A.L., and van den Berg J.W. EMG to force processing I: an electrical analog of the Hill muscle model. J. Biomech. 1981; 14: 747–58. 25. Hopkins J.T., Feland J.B., Hunter I. A comparison of voluntary and involuntary measures of electromechanical delay. Int. J. Neurosci. 2007; 117: 597–604. 26. Horita T., Ishiko T. Relationships between muscle lactate accumulation and surface EMG activities during isokinetic contractions in man. Eur. J. Appl. Physiol. 1987; 56: 18–23. 27. Houston M.E., Norman R.W., Froese E.A. Mechanical measures during maximal velocity knee extension exercise and their relation to fibre composition of the human vartus lateralis muscle. Eur. J. Appl. Physiol. 1988; 58: 1–7. 28. Koryak Yu.A. The research of velocity-strength properties of human muscular apparatus. Reserved Possibility of Sportsmen Organism. (Karazhanov В ed) Acad Press. Alma-Ata. 1985; 86–87. 29. Koryak Yu.A. 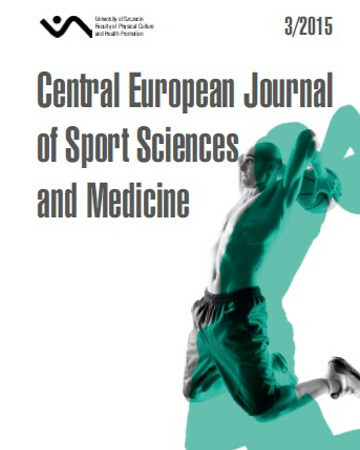 Functional properties of the neuromuscular system in sportsmen of various specializations. Human Physiology 1993; 19: 95–104. 30. Koryak Yu. Contractile properties of the human triceps surae muscle during simulated weightlessness. Eur. J. Appl. Physiol. 1995; 70: 344–350. 31. Koryak Yu.A. Effect of 120 days of Bed rest with and without countermeasures on the mechanical properties of the triceps surae muscle in young women. Eur. J. Appl. Physiol. 1998; 78: 128–135. 32. Koryak Yu.A. Neuromuscular changes under the effect of 7 day mechanical unloading of the human muscular system. Fundamental Studies. 2008; No. 9: 8–21. 33. Koryak Yu. The adaptation of human skeletal muscles to load changes. Experimental study. Lap Lambert Academic Publishing GmbH & Co, KG, Germany, 2011a; 402 P.
34. Koryak Yu Neuromuscular adaptation to short-term and long space flights of the man. In: International Space Station. Russia Segment, eds. A. Grigorev, I. Ushakov. M. SSC-IMBP RAS. 2011b; 2: 93–123. 35. Koryak Yu.A. Contractile properties and musculo-tendinous stiffness of the triceps surae muscle and their changes as a result of continuous bed rest. Physiol. J. 2012; 58: 66–79. 38. Kovanen V., Suominen H., Heikkinen E. Connective tissue of ‘‘fast’’ and ‘‘slow’’ skeletal muscle in rats – effects of endurance training. Acta Physiol. Scand. 1980; 108: 173–180. 39. Kozlovskaya I.B, Grigoriev A.I. Russian system of countermeasures on board of the International Space Station (ISS): the first results. Acta Astronaut. 2004; 55: 233–237. 40. Kozlovskaya I.B., Grigoryeva L.S., Gevlich G.I. A comparative analysis of the effect of zero gravity and its model on the force-velocity properties and tonus of human skeletal muscles. Space Biol. and Aviaspace Med. 1984; 18: 22–26. 41. Kubo K., Kanehisa H., Kawakami Y., Fukunaga T. Elastic properties of muscle–tendon complex in long-distance runners. Eur. J. Appl. Physiol. 2000; 81: 181–187. 42. Kubo K., Kanehisa H., Ito M., Fukunaga T. Effects of isometric training on the elasticity of human tendon structures in vivo. J. Appl. Physiol. 2001; 91: 26–32. 43. Lacourpaille L., Hug F., Nordez A. Influence of passive muscle tension on electromechanical delay in humans. PLoS One 2013; 8: e53159. 44. Lambertz D., Perot C., Kaspranski R., Goubel F. Effects of long-term spaceflight on mechanical properties of muscles in humans. J. Appl. Physiol. 2001; 90: 179–188. 45. Lambertz D., Mora I., Grosset J.F., Pérot C. Evaluation of musculotendinous stiffness in prepubertal children and adults, taking into account muscle activity. J. Appl. Physiol. 2003; 95: 64–72. 47. Less M., Krewer S.E., Eickelberg W.W. Exercise effect on strength and range of motion of hand intrinsic muscles and joints. Arch. Phys. Med. Rehabil. 1977; 58: 370–374. 48. MacDougall J.D., Elder G.C.B., Sale D.G., Moroz J.R., Sutton J.R. Effect of strength training and immobilization on human muscle fibres. Eur. J. Appl. Physiol. 1980; 43: 25–34. 49. Maganaris C.N. Tensile properties of in vivo human tendinous tissue. J. Biomech. 2002; 35: 1019–1027. 50. Maganaris C.N., Paul J.P. Tensile properties of the in vivo human gastrocnemius tendon. J. Biomech. 2002; 35: 1639–1646. 51. Magnusson S.P., Aagaard P., Dyhre-Poulsen P., Kjaer M. Load-displacement properties of the human triceps surae aponeurosis in vivo. J. Physiol. 2001; 531: 277–288. 52. Malisoux L., Francaux M., Nielens H., Theisen D. Stretch-shortening cycle exercises: an effective training paradigm to enhance power output of human single muscle fibers. J. Appl. Physiol. 2006; 100: 771–779. 53. Milner-Brown H.S., Stein R.B., Lee R.G. Synchronization of human motor units: possible roles of exercise and supraspinal reflexes. Electroencephalogr. Clin. Neurophysiol. 1975; 38: 245–254. 54. Muraoka T., Muramatsu T., Fukunaga T., Kanehisa H. Influence of tendon slack on electromechanical delay in the human medial gastrocnemius in vivo. J. Appl. Physiol. 2004; 96: 540–544. 55. Narici M., Kayser B., Barattini P., Cerretelli P. Effects of 17-day spaceflight on electrically evoked torque and cross-sectional area of the human triceps surae. Eur. J. Appl. Physiol. 2003; 90: 275–282. 56. Nicogossian A.E. Countermeasures to space deconditioning. Space physiology and medicine, eds. A.E. Nicogossian, C. Huntoon, S.L. Pool. Lea and Febiger. Philadelphia. 1982; 294–311. 57. Nordez A., Gallot T., Catheline S., Guevel A., Cornu C., Hug F. Electromechanical delay revisited using very high frame rate ultrasound. J. Appl. Physiol. 2009; 106: 1970–1975. 58. Norman R.W., Komi P.V. Electromechanical delay in skeletal muscle under normal movement conditions. Acta Physiol. Scand. 1979; 106: 241–248. 59. Norrbrand L., Fluckey J.D., Pozzo M., Tesch P.A. Resistance training using eccentric overload induces early adaptations in skeletal muscle size. Eur. J. Appl. Physiol. 2008; 102: 271–281. 60. Orizio C., Baratta R.V., Zhou B.H., Solomonow M., Veicsteinas A. Force and surface mechanomyogram relationship in cat gastrocnemius. J. Electromyogr. Kinesiol. 1999; 9: 131–140. 61. Orizio C., Gobbo M., Veicsteinas A., Baratta R.V., Zhou B.H., Solomonow M. Transients of the force and surface mechanomyogram during cat gastrocnemius tetanic stimulation. Eur. J. Appl. Physiol. 2003; 88: 601–606. 62. Pousson M., Pérot C., Goubel F. Stiffness changes and fibre type transitions in rat soleus muscle produced by jumping training. Pflüg. Arch. 1991; 419: 127–130. 63. Reeves N.D., Maganaris C.N., Narici M.V. Effect of strength training on human patella tendon mechanical properties of older individuals. J. Physiol. 2003; 548: 971–981. 64. Reeves N.D., Narici M.V., Maganaris C.N. In vivo human muscle structure and function: adaptations to resistance training in old age. Exp. Physiol. 2004; 89: 675–689. 65. Sandler H., Vernikos J. Inactivity: physiological effects. Acad Press, Orlando, Fla. 1986; 1–9. 66. Sica R.E.P., McComas A.J. An electrophysiological investigation of limb-girdlee and facioscapulohumeral dystrophy. J. Neurol. Neurosurg. Psychiat. 1971; 34: 469–474. 67. Stepantsov V.I., Tikhonov M.A., Eremin A.V. Physical training as a method of preventing the hypodynamic syndrome. Kosm. Biol. Aviat. Med. 1972; 6: 64–69. 68. Trappe T.A., Burd N.A., Louis E.S., Lee G.A., Trappe S.W. Influence of concurrent exercise or nutrition countermeasures on thigh and calf muscle size and function during 60 days of bed rest in women. Acta Physiol. 2007; 191: 147–159. 69. Trappe S., Creer A., Minchev K., Slivka D., Louis E., Luden N., Trappe T. Human soleus single muscle fiber function with exercise or nutrition countermeasures during 60 days of bed rest. Am. J. Physiol. 2008; 294: R939–R947. 70. Trappe S., Costill D., Gallagher P., Creer A,, Peters J.R., Evans H., Relley D.A., Fitts R.H. Exercise in space: human skeletal muscle after 6 months aboard the International Space Station. J. Appl. Physiol. 2009; 106: 1159–1168. 71. Tesch P.A..Training for bodybuilding. The encyclopedia of sports medicine. Strength and power in sports, ed. P.A. Komi. Blackwell Oxford. 1991; 370–380. 72. Viitasalo J.T., Komi P.V. Interrelationships between electromyographic, mechanical, muscle structure and reflex time measurements in man. Acta Physiol. Scand. 1981; 111: 97–103. 73. Vos E.G., Mullender M.G., van Ingen Schenau G.J. Electromechanical delay in the vastus lateralis during dynamic isometric contractions. Eur. J. Appl. Physiol. 1990; 60: 467–471. 74. Vos E.G., Harlaar J., van Ingen Schenau G.J. Electromechanical delay during knee extensor contractions. Med. Sci. Sports Exerc. 1991; 23: 1187–1193. 75. Watt P.W., Kelly F.J., Goldspink D.F., Goldspink G. Exercise induced morphological and biochemical changes in skeletal muscles of the rat. J. Appl. Physiol. 1982; 53: 1144–1151. 76. Weiss A.D. The locus of reaction time change with set, motivation and age. J. Gerontol. 1965; 20: 60–64. 77. Winter E.M., Brookes F.B. Electromechanical response times and muscle elasticity in men and women. Eur. J. Appl. Physiol. 1991; 63: 124–128. 78. Woo S.L., Ritter M.A., Amiel D., Sanders T.M., Gomez M.A., Kuei S.C., Garfin S.R., Akeson W.H. The biomechanical and biochemical properties of swine tendons–long term effects of exercise on the digital extensors. Connect Tissue Res. 1980; 7: 177–183. 79. Woo S.L., Gomez M.A., Woo Y.K., Akeson W.H. Mechanical properties of tendons and ligaments. II. The relationships of immobilization and exercise on tissue remodeling. Biorheology 1982; 19: 397–408. 80. Yavuz S.U., Sendemir-Urkmez A., Turker K.S. Effect of gender, age, fatigue and contraction level on electromechanical delay. Clin. Neurophysiol. 2010; 121: 1700–1706. 81. Zajac F.E. Muscle and tendon: properties, models, scaling, and application to biomechanics and motor control. Crit. Rev. Biomed. Eng. 1989; 17: 359–411. 82. Zhou S., Lawson D.L., Morrison W.E., Fairweather I. Electromechanical delay in isometric muscle contractions evoked by voluntary, reflex and electrical stimulation. Eur. J. Appl. Physiol. 1995; 70: 138–145.